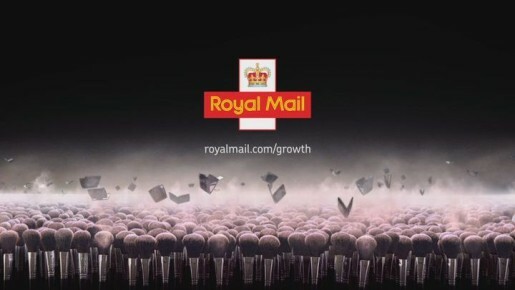 Royal Mail in the UK is inviting small businesses to consider using them as a partner with an integrated advertising campaign, “Grow”. A TV advert, featuring five businesses, points viewers to the Royal Mail Growth site where potential clients can sign up for a personalised business offer. 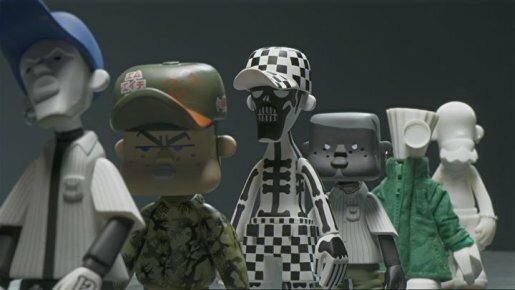 Stop-frame animation, live action and CG are used alongside each other to bring to life materials on an effective production line. Buttons burst out of a box to connect with threads rising through a loom. They’re attached to jeans and packaged for delivery. Cogs are manufactured in an engineering workshop and prepared for dispatch. A printing press puts together floral wrapping paper to go with a series of small toy figures (Michael Lau?). Glassware is arranged in an attractive pattern before heading into specially designed packages. The spot finishes with make up compacts and brushes being released from their boxes. The Grow campaign was developed at AMV BBDO London by creatives Diane Leaver and Simon Rice, agency producer Yvonne Chalkley. FIlming was shot by Johnny Green via Knucklehead, London, with director of photography Jess Hall, production manager Francis Mildmay-White, producer Fergus Brown, production designer Giullaume Amosse, with service company Orange. Post production was done at Glassworks, London, by Flame operator Duncan Horn, TK colourist Ben Rogers, Flint artist Warren Gebhardt, 3D artists Daniel Jahnel, Stephen New, Pete Reilly, Will Davies, and producer Misha Stanford Harris. CG was used to build the light flower and glas vase sections. The final resolve of compacts and brushes was built from single elements, stop motion and stills. Editor was Ted Guard at The Quarry. Sound was designed at Jungle. Music was composed at Soundtree, London.